I have some! 13" from my '76. Pictures b elow. I'll email you too. I need 4 + 1. 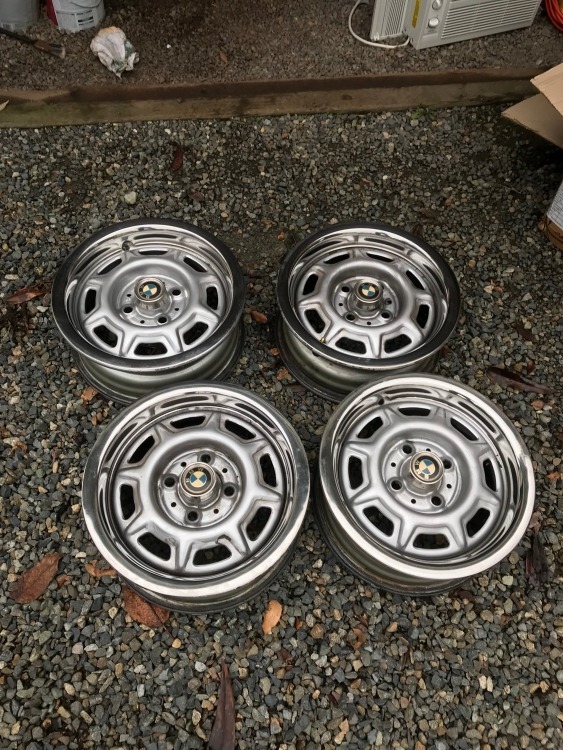 4 for a friends car and 1 for my spare. Could be the tire, could be the rim! 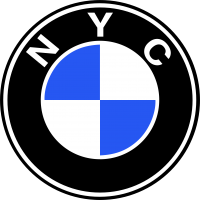 Only a 165/80R13 tire is guaranteed to fit under the panel. And only a 5” rim is guaranteed to fit under the panel. 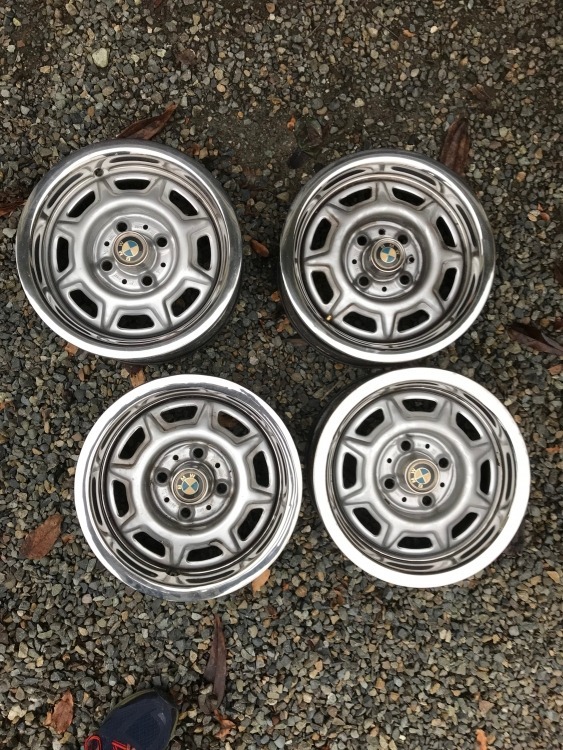 Half of the styled steel rims — “slots” — on ‘02’s currently are e21 rims, identical in appearance but 5 1/2” wide, ET18. 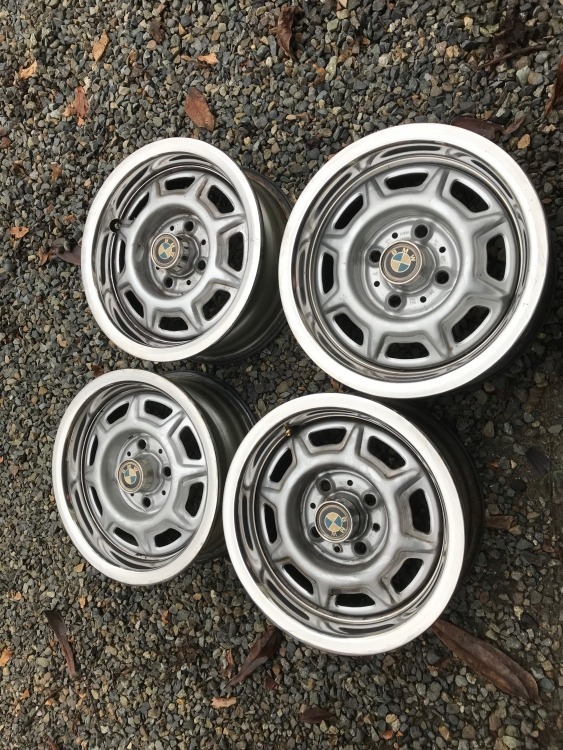 ‘02 styled steel rims are 5” wide, ET29. 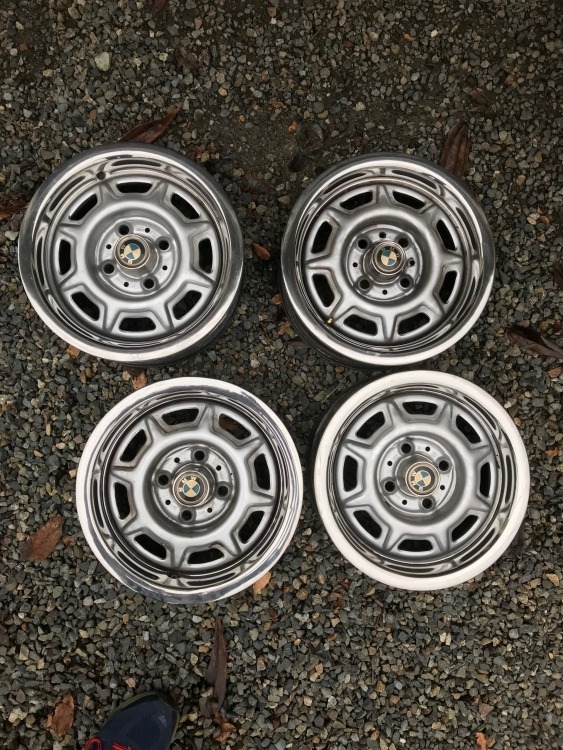 All these rims are dated, which further aids identification as ‘02 or e21 rims. 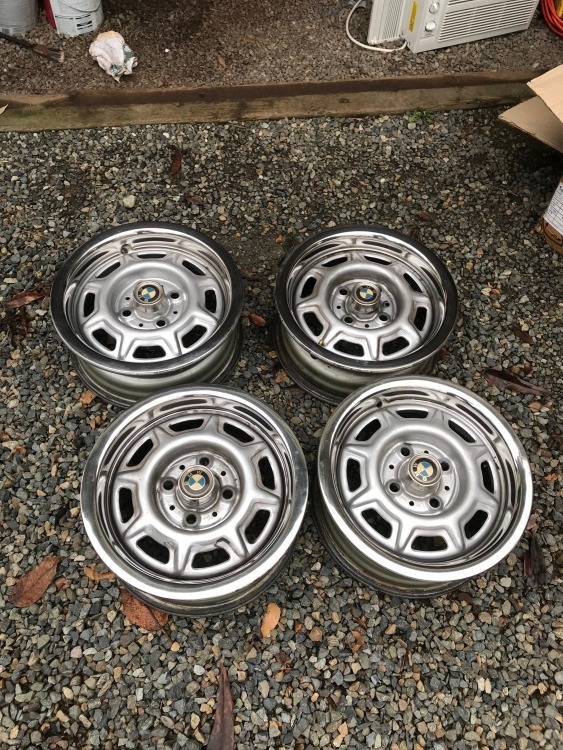 My buddy's car is also a 73tii..and he wants original steelies.